SimiSodaPop | A Refreshment Of Bubbly Gossip! | Beauty, Fashion, Food and Entertainment: Shojin - Organic & Natural Japanese Macrobiotic & Vegan Restaurant Opens Second Location Today! Shojin - Organic & Natural Japanese Macrobiotic & Vegan Restaurant Opens Second Location Today! 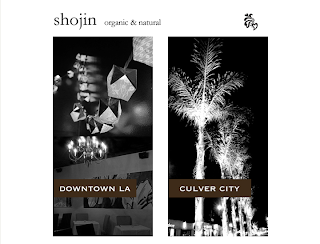 Have you heard of a Restaurant in Downtown Los Angeles's Little Tokyo called "Shojin"? It's an organic and natural Japanese restaurant offering vegan and macrobiotic food. Now they are set to open their second location in Culver City, near the Mar Vista border today! 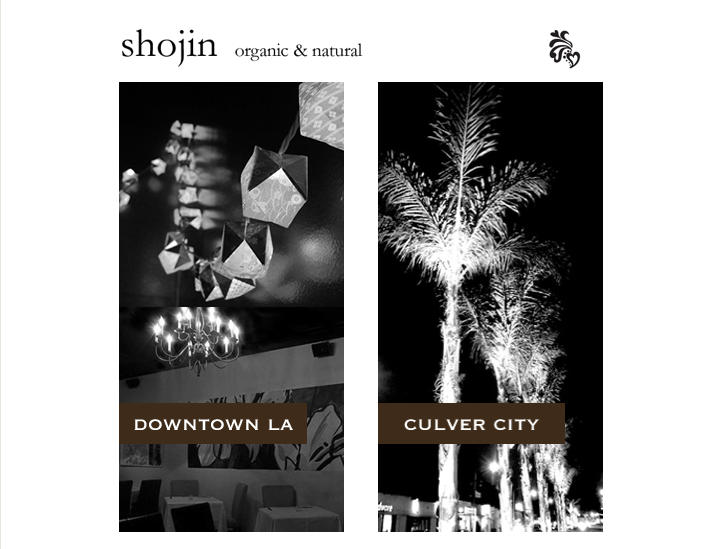 Shojin of Culver City will offer high-quality, chemical-, meat-, and gluten-free fare that LA veg foodies have grown to love from its flagship. They have yet to release the menu, but I'll be sure to post it once it's announced! A much anticipated opening prompted Shojin to require reservations for the first three days of the grand opening. I wish places like this would open up in Vancouver Canada! It's so nice to see the beliefs and image that Shojin represents. shojin New Location Opening on March 8, 2013! We are finally opening a 2nd location in Culver City. And it is all thanks to your continuing, loving support for us these last 5 years!!! For the first 3 days, Reservations are Required. Reservations start on March 1. *Parties up to 4 people.